It's almost graduation and wedding season! Yay! 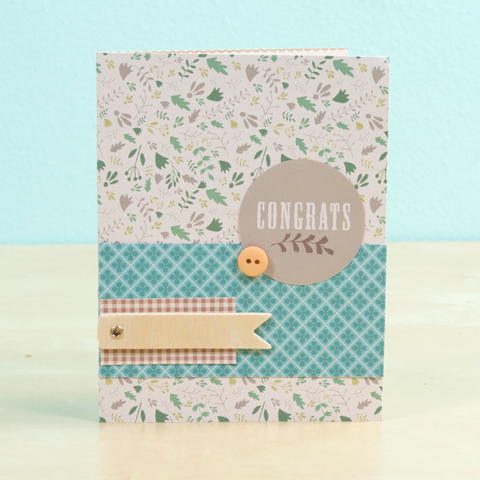 Check out this classic, gender-neutral card we made with leftovers from out Club SEI March card kit. Please check back each week for more great spring project ideas!